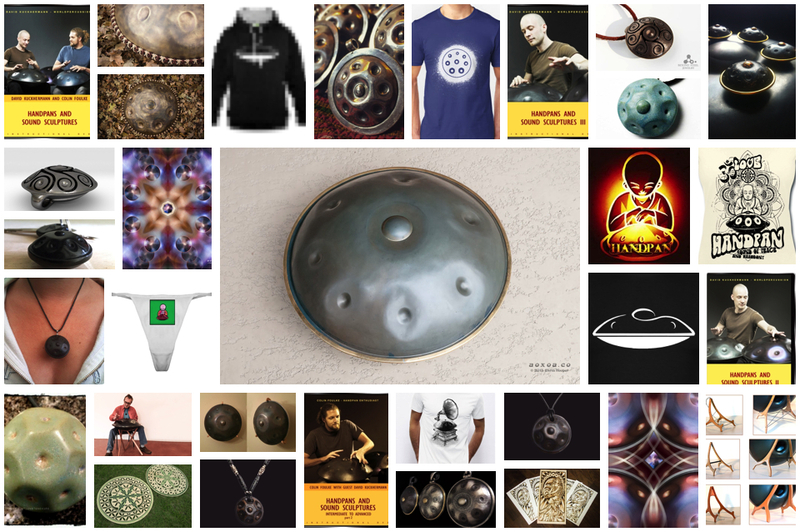 Rare to find, handpan wall art is a perfect gift as most people have some wall space. 1. 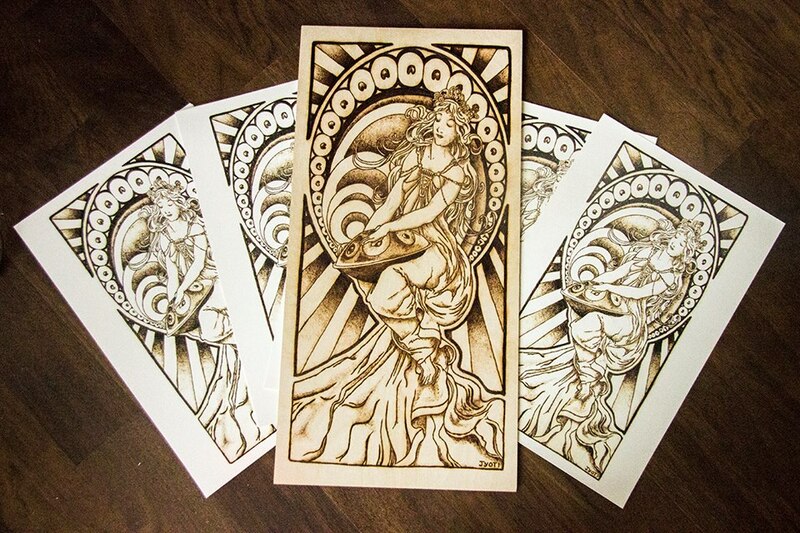 Jyoti Jacobs of Thirdeye Visionaries makes wood burn art. His first run of 30 prints are 11” x 17” on a heavy weight off-white card stock ($10). Each print is signed. The original wood piece is $250. Art by Jyoti Jacobs of Thirdeye Visionaries. 2. Chris “AoxoA“ Hooper creates digital art known as Hangism and more recently Panism. 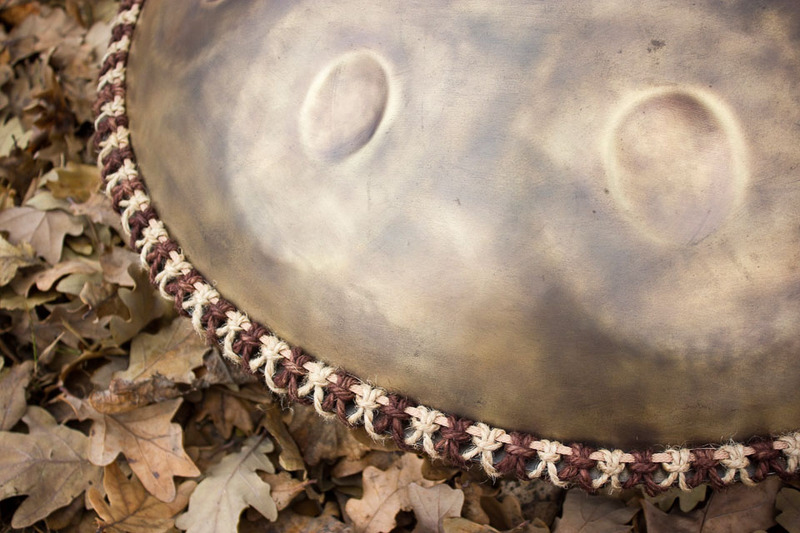 Each piece starts as a single digital image of a handpan. The image is duplicated, flipped, rotated, moved, and layered as needed. And, various adjustment details are applied. 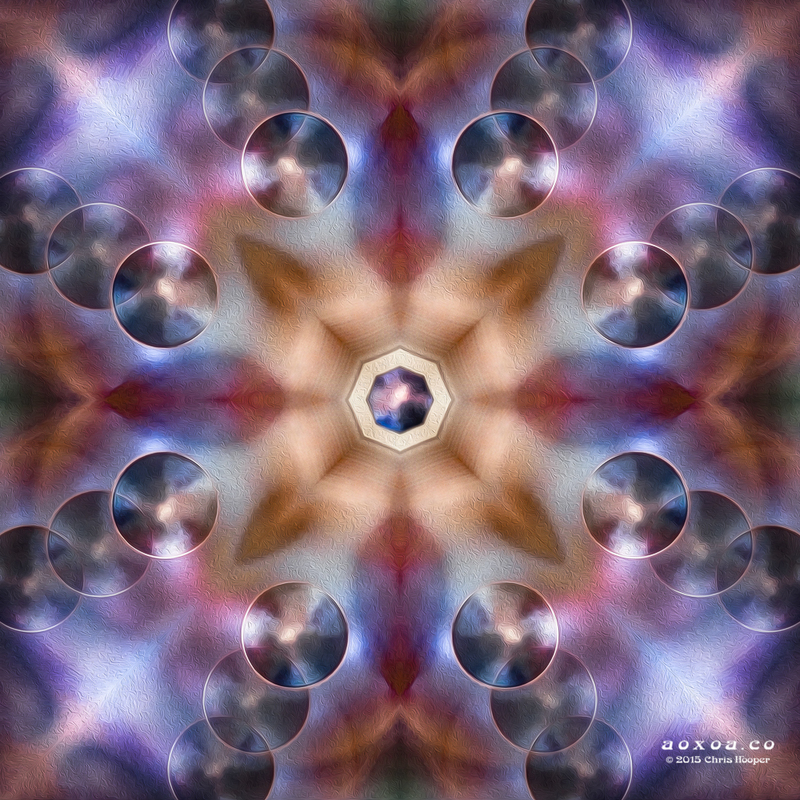 AoxoA offers standard and aluminum prints of various sizes. 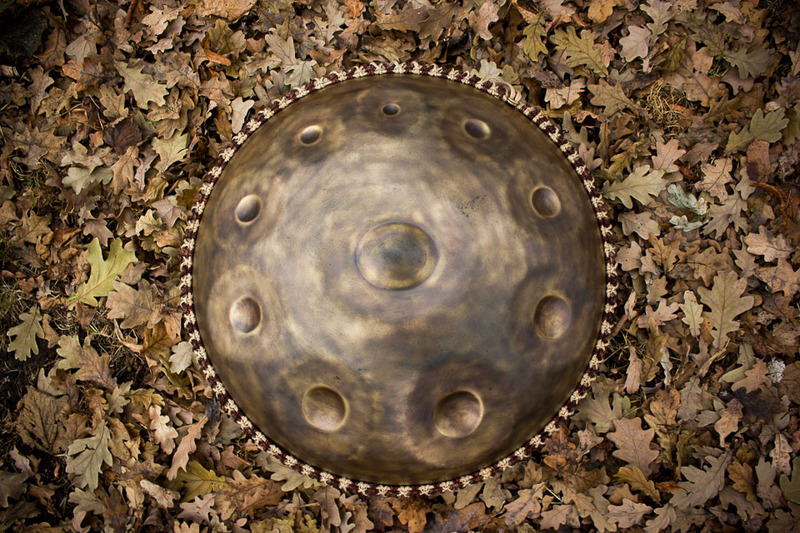 Custom pieces can be created from your own handpan. Visit his online store for Hangism prints. Visit his online store for Panism prints. 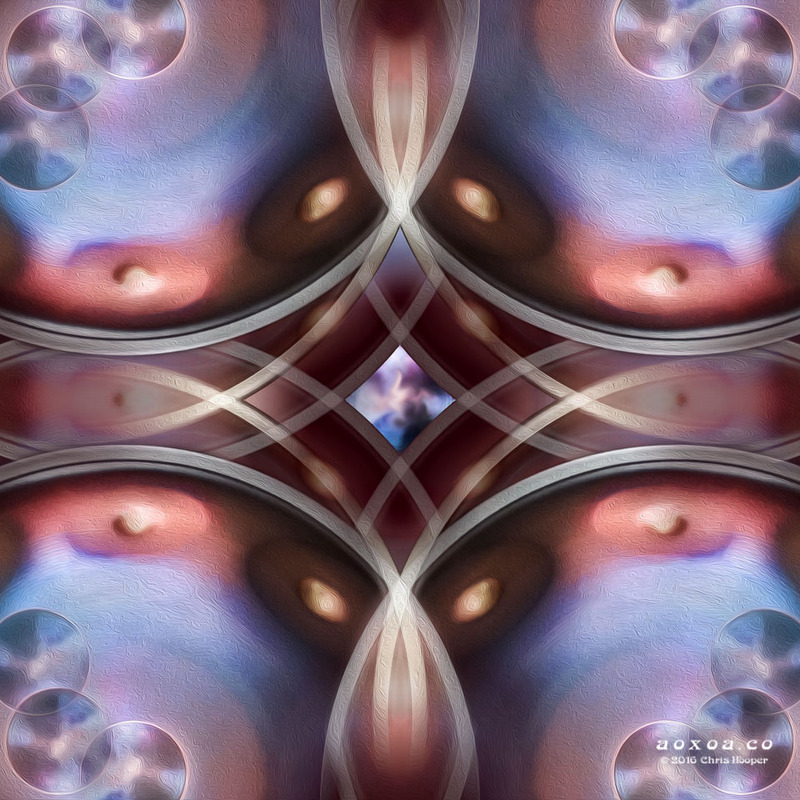 Panism 7 by Chris “AoxoA” Hooper. Panism 1 by Chris “AoxoA” Hooper. The pickings are slim, but what marvelous pickings they are…. 1. Zen-Percussion makes handwoven rope decorations. Rope decoration by Zen Percussion. There is a nice amount of pendants to choose from. Each has a feel and character of its own. 1. 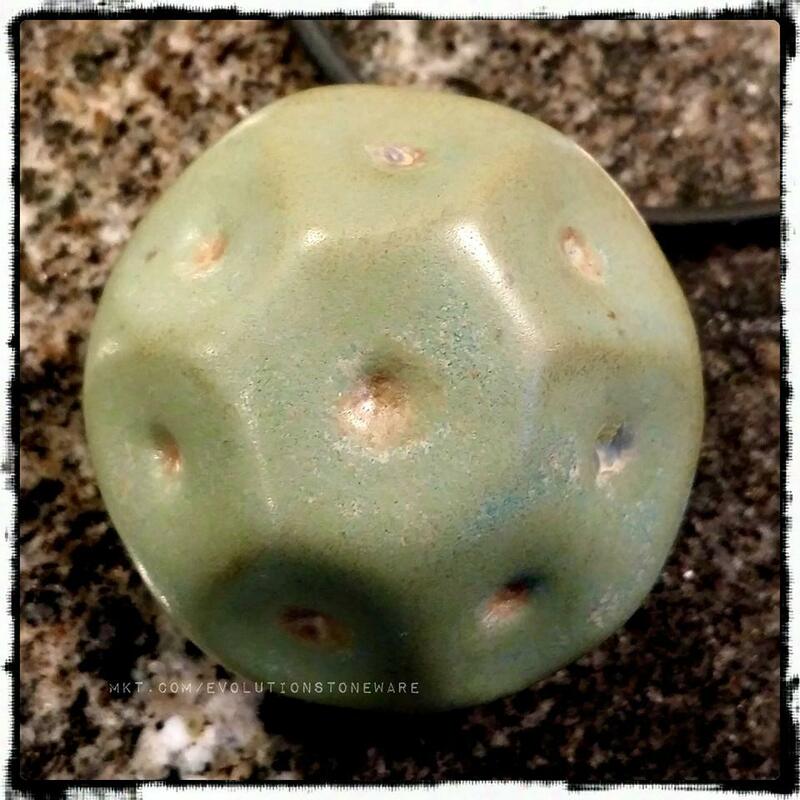 Lilla Koltorp of Mariefred Pottery & Stone makes glassed clay pendants. Her process in photos here. 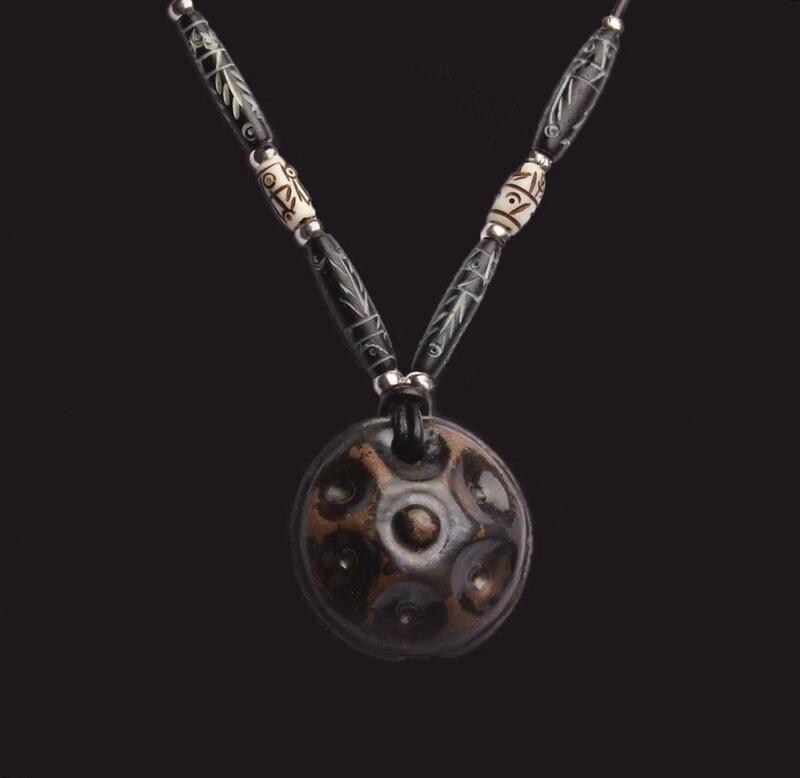 Pendant by Lilla Koltorp of Mariefred Pottery & Stone. 2. 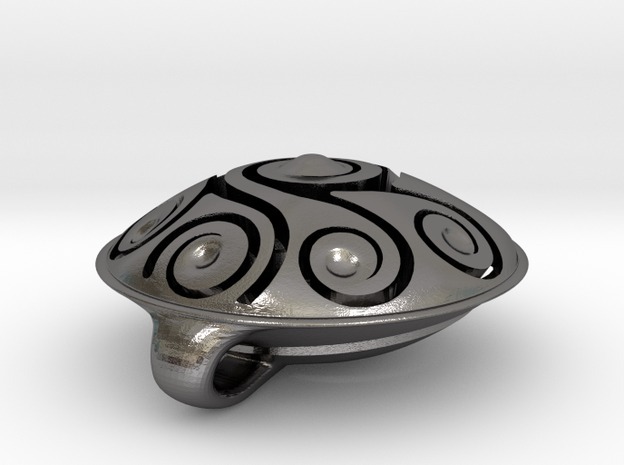 Thor Hayton of Beyond Steel Jewelry makes several pendant versions out of polished steel (plated with gold, silver, bronze, etc) utilizing a 3D printer. $45 each. 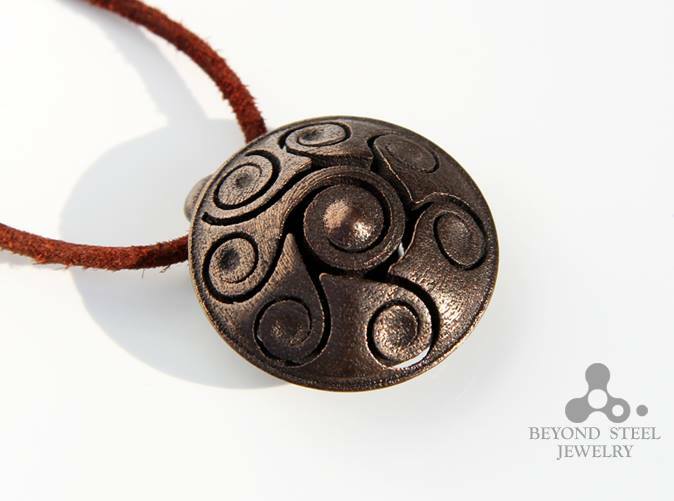 Pendant by Thor Hayton of Beyond Steel Jewelry. 3. Carlo Carolina of RevolutionJewels makes the Pendpan pendant. Hand made with Sterling Silver and gold plate. The Pendpan pendant opens for storing something inside of it ;-). Each pendant is $79. Pendpan pendant by Carlo Carolina of RevolutionJewels. 4. Ray Chen makes pendants by hand. Ray makes two versions: 1) in copper 2) in silver. 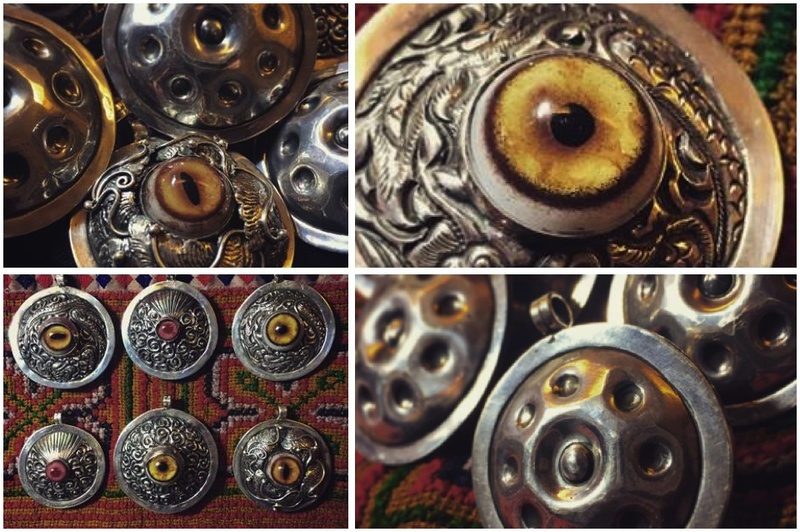 The silver one is a handpan on the front and the backside features a design with an “eye.” $65 each. Copper pendant by Ray Chen. 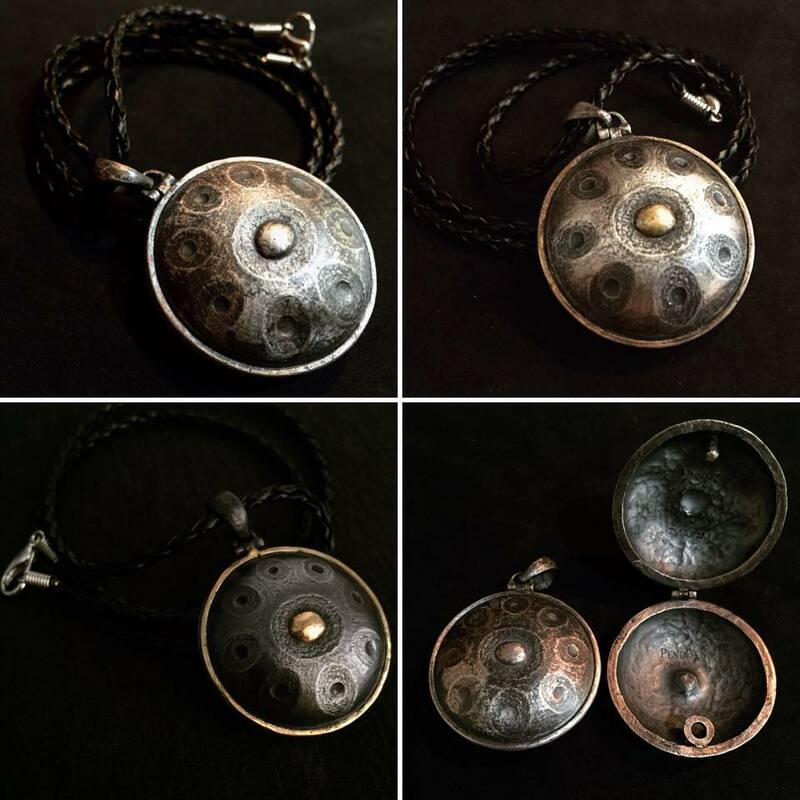 Silver pendant with “eye” on the reverse by Ray Chen. 5. 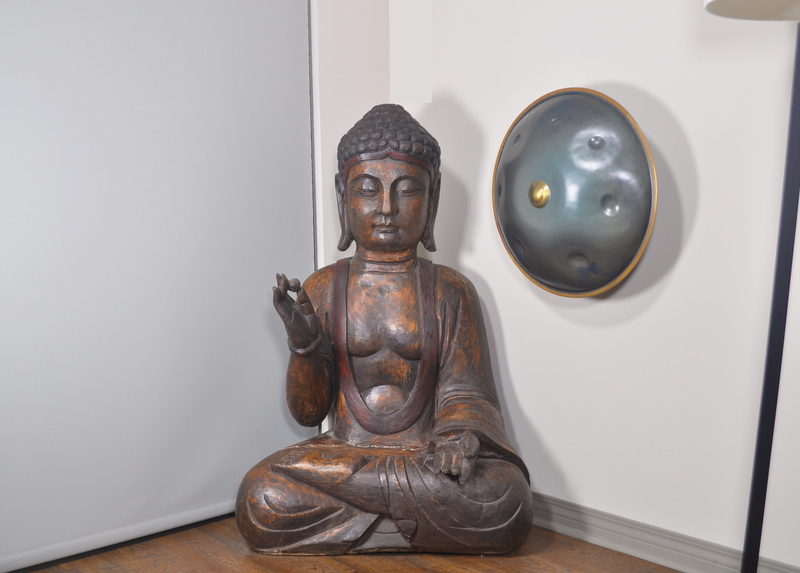 Janis Wilson Hughes of Evolution Stoneware Pottery makes glazed ceramic stoneware. $35 each. 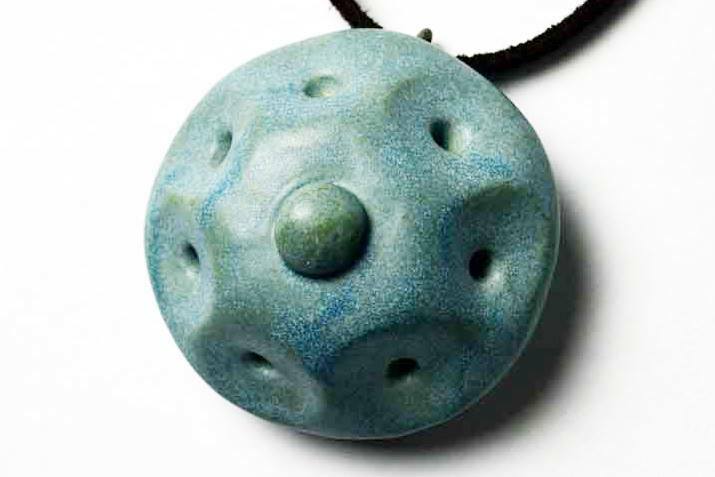 Pendant by Janis Wilson Hughes of Evolution Stoneware Pottery. 6. 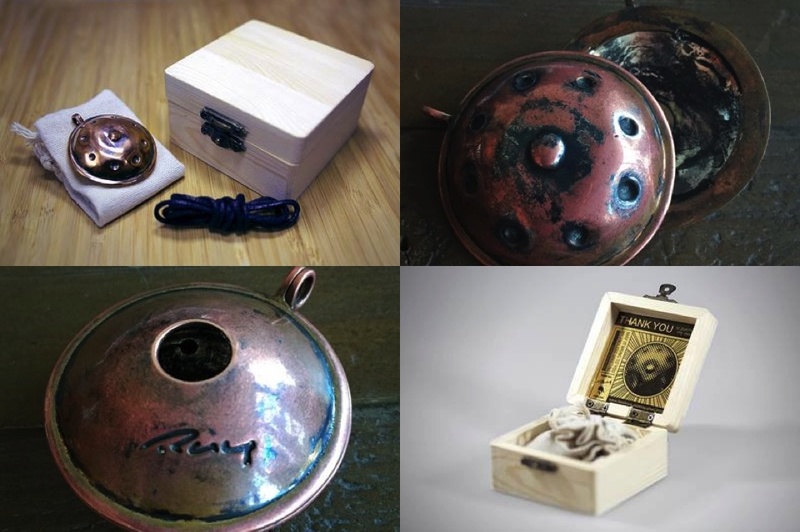 Raphael and Sarah of OrgonizeYourLife make orgone pendants from resin, metal, Devon quartz, amethyst, black tourmaline, rose-quartz, fluorite, and sodalite powder. 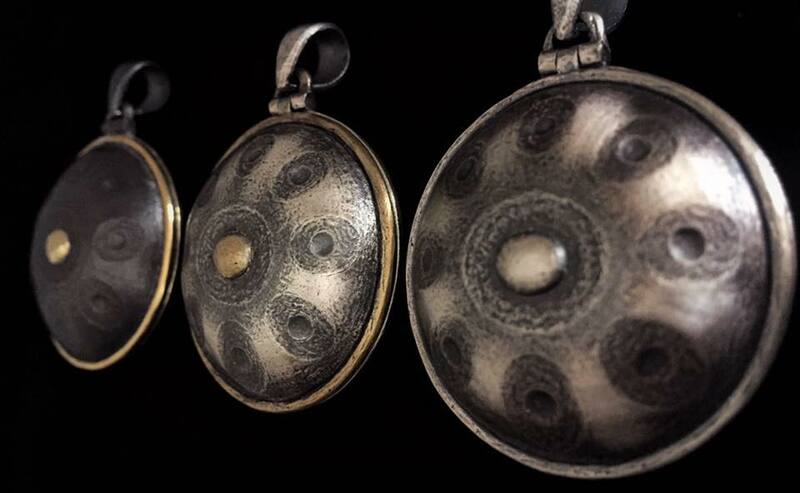 Each pendant contains a small piece from the Bosnian pyramid, a small piece of Iceland-quartz, and a couple of metal shavings from a real handpan (Terrapan)— all collected by Daniel Waples on his journeys. $45 each. 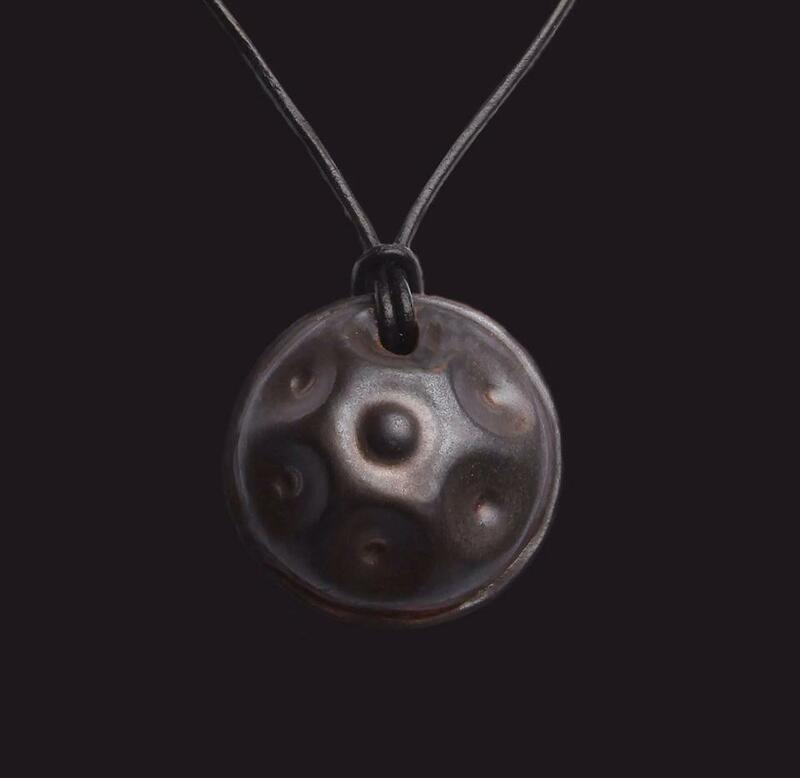 Orgone pendant by Raphael. FotoArt by Craig Rainbo Ninjah. Who doesn’t want new techniques and ideas for beginner, intermediate, and advanced players? Treat yourself or a loved one to live one-on ones or learn by DVD. $21 (parts 1 & 2 sold separately). 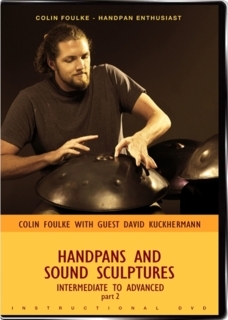 Where do you store your priceless handpan when not in use? Some inventive people have taken it to another level. 1. 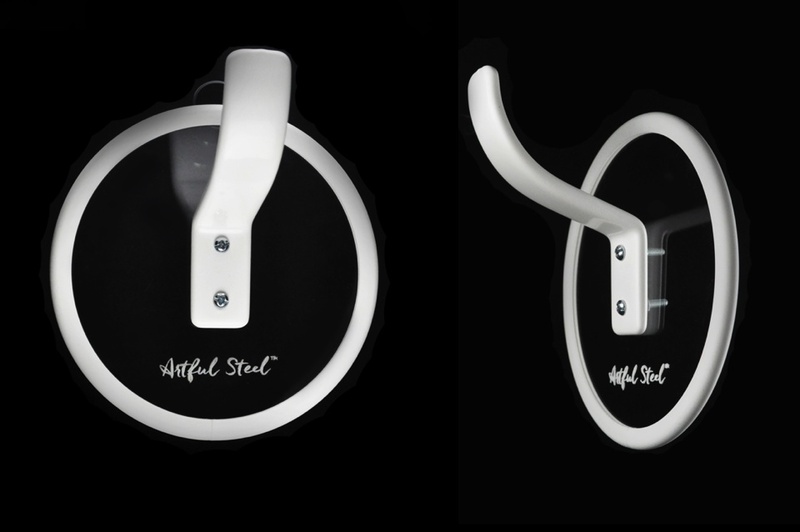 Adam Zamarripa of Artful Steel makes a nice wall mount. Regular $99 (on sale $89). Artful Steel wall mount in action. 2. Iris and Christoph of Handpan Stuff make presentation stands. Presentation stands by Iris and Christoph. 3. Jarrod Oldham designed and made a great wall rack. A limited production run of 8 racks went out into the wild. Unfortunately, it’s too time-consuming for Jarrod to make more. Jarrod is willing to license the design so you can make it yourself. 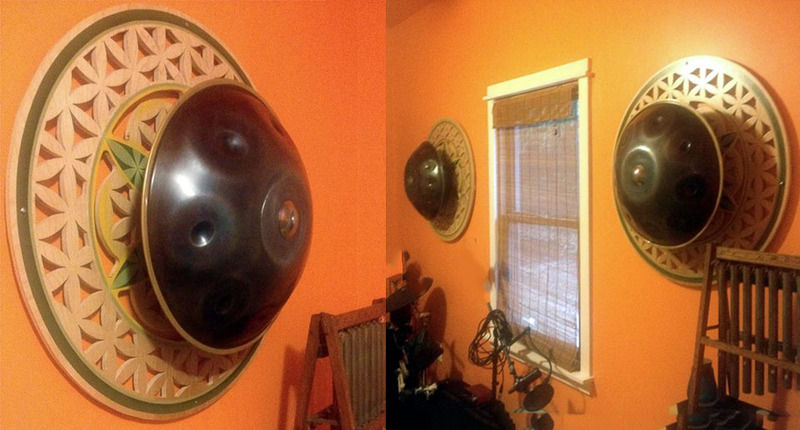 Handpan wall mount designed by Jarrod Oldham. 4. James Allen of Maker Maker James crafts Pan Seeds to wall mount handpans. 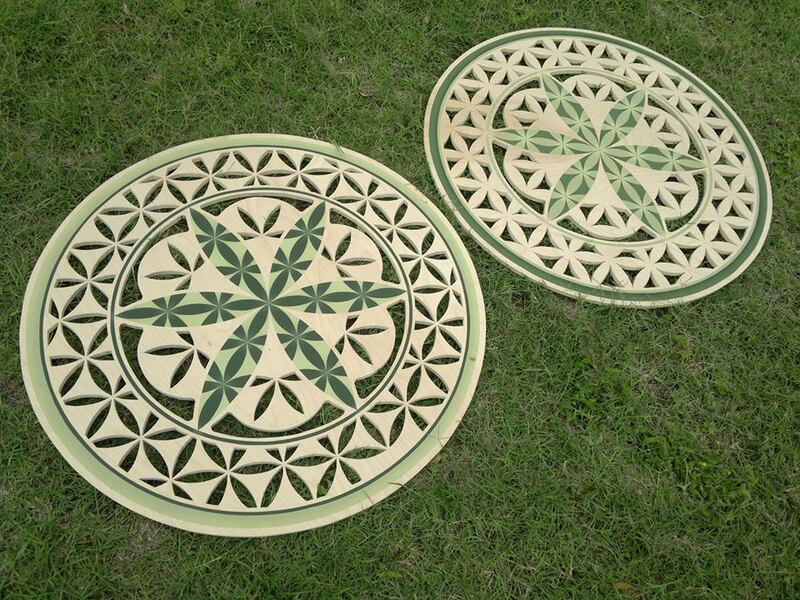 Made using hand cut stencils, airbrushed acrylic on birch plywood hand cut with a jigsaw. 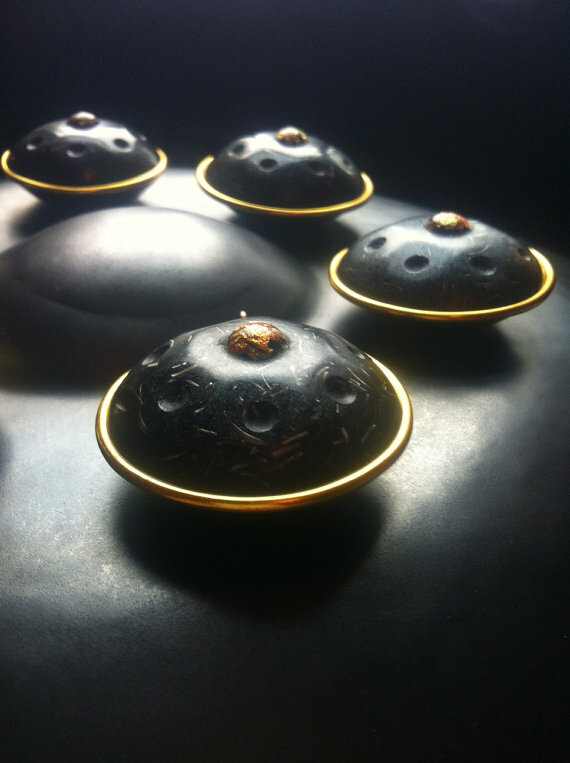 Pan Seeds in the making by James Allen. Pan Seeds in action. made by James Allen. The mythical playing stand. People often make do with Cajon or drum stands. 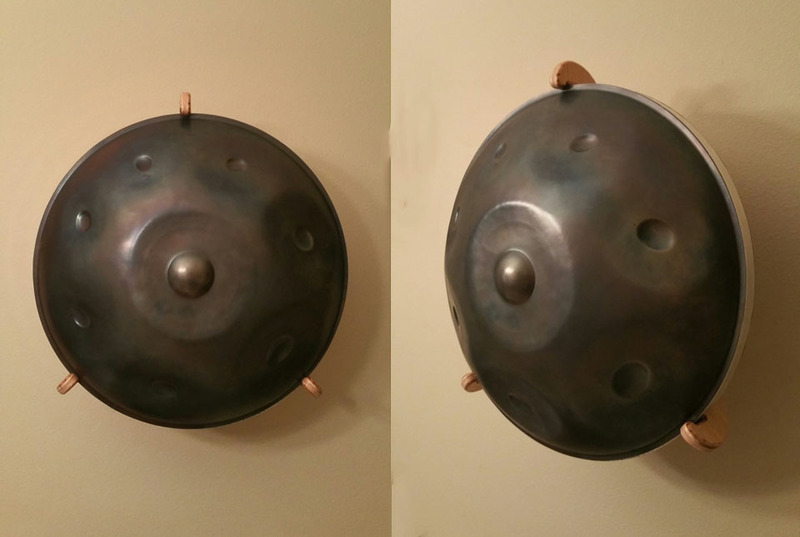 Few have ventured to fill the void with a custom handpan stand. 1. 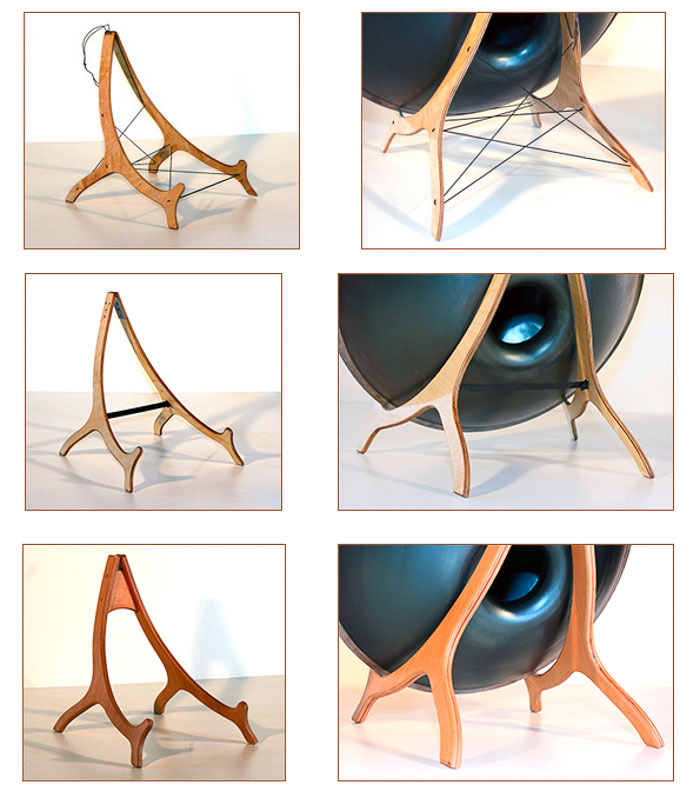 Richard Bowring of Sounds Inspiring makes stands to play while sitting or standing. Sounds Inspiring also offers pendants, and earrings. 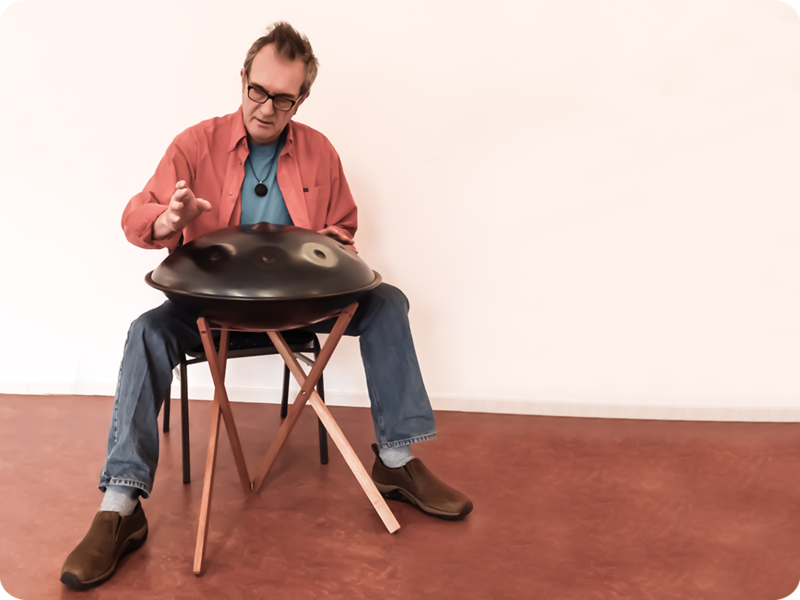 Handpan stand by Richard Bowring. 2. Pantheon Steel maker of Halo use to offer the ultimate stand. It was discontinued. 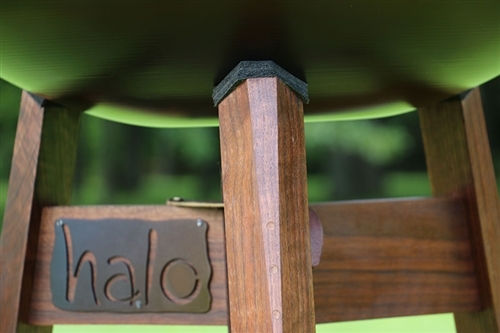 Currently they promise custom crafted hardwood stands coming soon. OK, so maybe you don’t need a stand. You’ll just sit and play. Sometimes you like to sit on a chair. Secure the instrument with a hook so it won’t slip off. 1. Alessio Massi of Hardcase Technologies offers the Panhook. 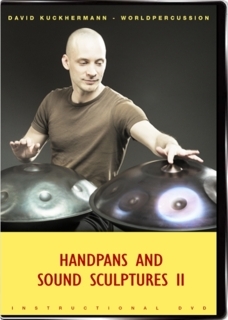 Pantheon Steel provides the best protective cases for Halo handpans (but their solution is heavy). For all other Hangs and handpans (including Halo), I am only comfortable endorsing one company for protective cases: Hardcase Technologies. 1. Alessio Massi of Hardcase Technologies offers the Evatek, the Polycase 2.0 and the Evatek Fly to customers worldwide. 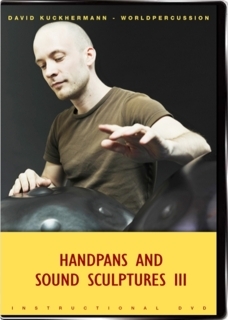 Saraz Handpan is the distributor for customers in the USA and Canada who wish to purchase an Evatek Medium, Evatek Large, Fly Kit or Polycase 2.0. 1. Jeremy Dinieri sells mouth harps that he tunes. 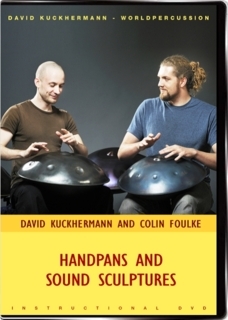 They sound great with handpans and are easy to learn. His harps are played with the lips instead of the teeth like you would do with traditional jaw harps. Prices vary from $7 – $12. 1. RevolutionJewels: Key-chain on Etsy. 2. Various: Key-chain, mugs, hats, clocks.